Poly/LEM Fixative | Polysciences, Inc.
Poly/LEM is a formaldehyde based fixative for Light and Electron Microscopy. 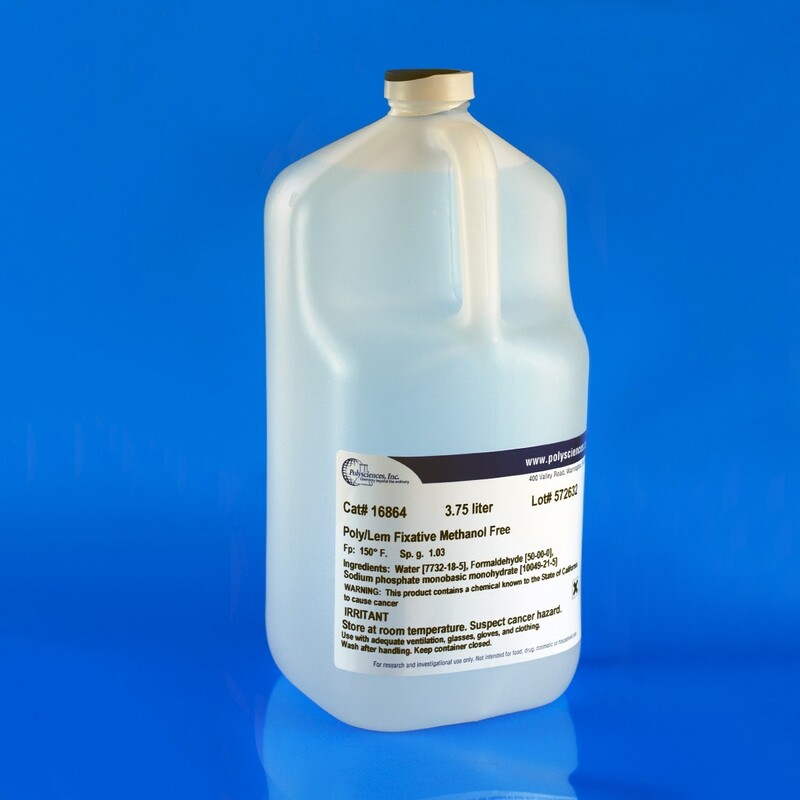 This popular methanol-free fixative is formulated to eliminate the need to select a fixative for tissue based on the type of microscopy to be employed. Poly/LEM should be stored at room temperature, thus obviating the need for bulky refrigerator storage. Do not refrigerate or permit solution to freeze as component separation may occur.